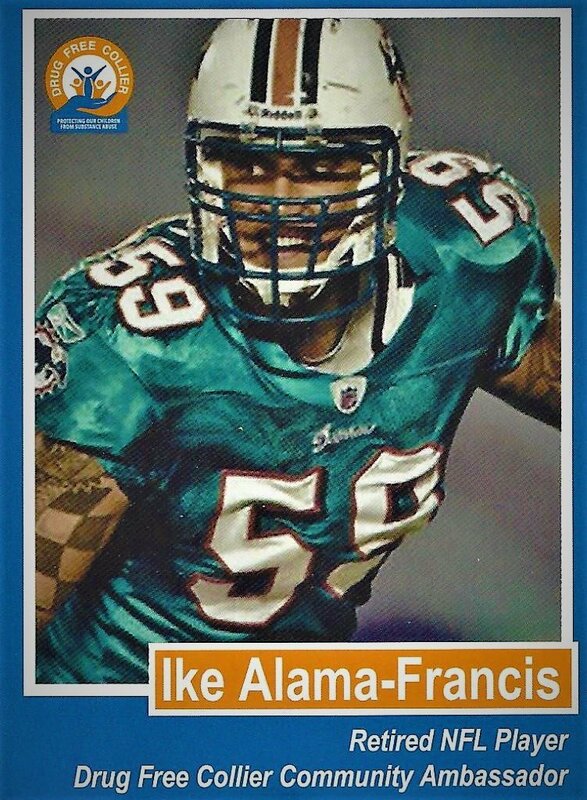 Ike Alama-Francis is Drug Free Collier’s Community Ambassador. He is an alumni of the National Football league, formerly playing for the Detroit Lions, Miami Dolphins, and San Francisco 49ers. Now Ike is often featured in appearances and events across the county on behalf of Drug Free Collier. He speaks to youth and adults through a variety of public engagements to share his stories and to promote healthy lifestyle choices. You can find Ike’s biography here. If you would like to have Ike speak for your next event please click here.